No matter the season, there’s always a sports team gearing up to get their head in the game. All championship sports teams have to start somewhere and no matter the sport, that place is always is the locker room. At StickerYou we’ve discovered some perfect decal power plays for you to retouch your locker or prep rooms to get your game face on and put them in a league of their own! Ditch the old school chalkboards and clunky dry erase boards for a front running dry erase decal. Dry erase decals are a plain sailing decal because they can adhere to any flat surface and won’t take up any space in already cramped locker rooms. Dry erase decals can be totally customized with team logos and colours and can even have sections for things like game days and practice schedules to get all your teammates on the same page. 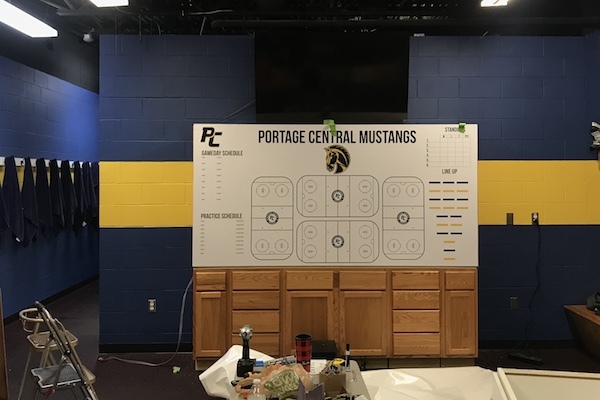 Check out what one of our fav teams, the Portage Central Mustangs, did with their dry erase tactical board to deck out their locker room. After a long game most players focus isn’t on the tidiness of their locker room. 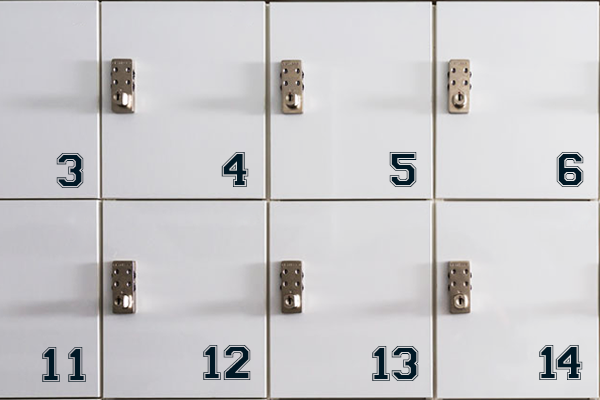 Say goodbye to floors covered with discarded towels and disheveled jerseys by assigning each teammate their own locker or cubby. Custom vinyl lettering of teammates names or numbers is an effective way to keep everyone’s gear and equipment in check if they only have the game on the brain. Vinyl lettering adheres easily to flat surfaces, making it the prime material for smooth surfaces such as mirrors or glass. 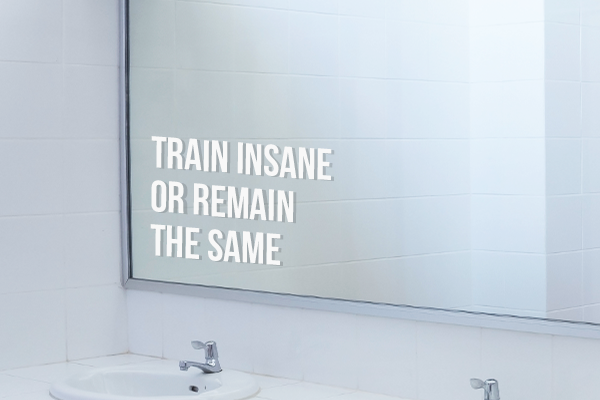 If you locker room bathroom or change room mirrors could use an upgrade, create vinyl decals of your team’s slogan, favourite cheer, or a simple motivational message. You’re team may not be spending a lot of time in front of a mirror, but a quick glimpse of some encouraging words can be a major grand slam. Making the championships is a stellar accomplishment for every sports team. 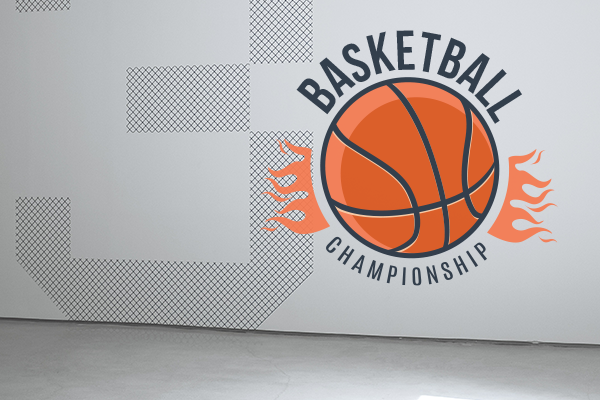 Create vinyl wall decals with your teams crest and colours of championship banners, the sport that got you there, and the players and MVP’s that took home the trophy. Vinyl wall decals are removable, so you can reposition and add to record boards as you keep blowing the competition away. Record boards are also an all star way of inspiring future teams to give it their all and keep up the winning streak! 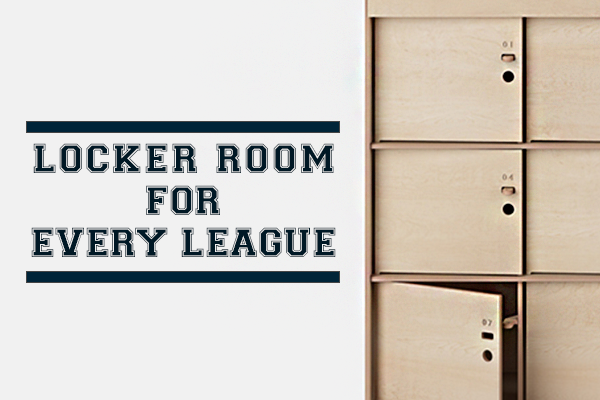 Sporting equipment has to keep up with the times, and that means your locker room should too. Upgrading a locker room doesn’t have to be a major overhaul, in fact just a few vinyl wall graphics can give your locker room a much needed second wind. Print over sized pictograms of designated room icons, accessibility spaces, or shower heads and toilets. This allows not only your players but visiting teams as well to navigate your locker rooms easily, while also bringing them into this century. Don’t let the opposition walk all over you! 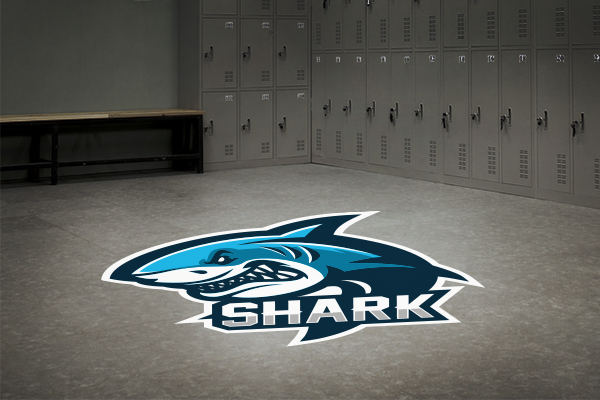 Give dingy locker room floors the motivational upgrade they deserve with a giant floor decal of your team’s logo or crest. Vinyl floor decals adhere smoothly and can be removed without damaging floors so you can always be on the ball when logos get redesigned and updated. Floor decals are also scuff-free so they’ll never get ruined no matter how many dirty cleats or dragged equipment you throw at them.